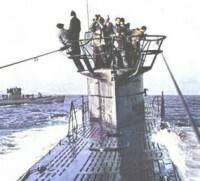 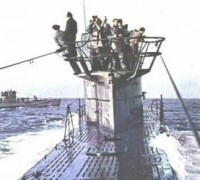 Men in one raft seen when waving for the aircraft above. 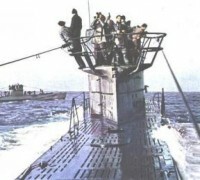 Two survivors seen swimming desperately toward the raft. 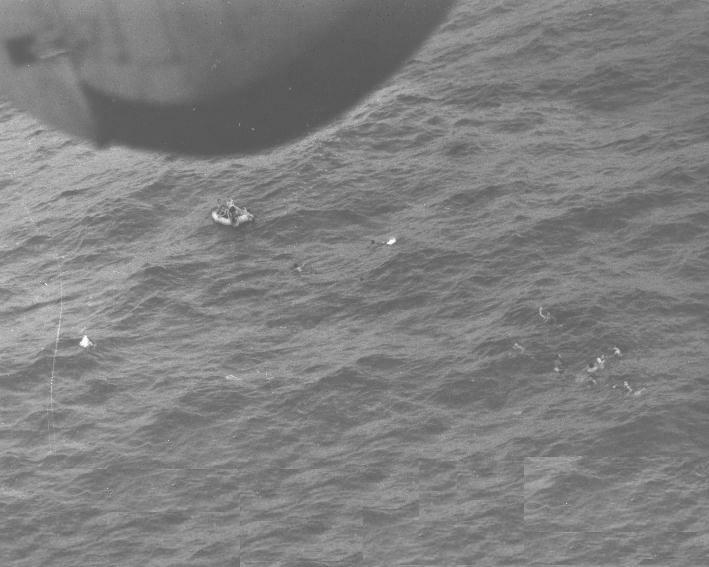 Survivors can be seen struggling to reach one raft.